Established 1990, Nacel English School London, located in Finchley (Finchley Central, zone 4), is a language school providing English courses in North London. Central London is a 20 minute journey from the school. Catering, shopping and leisure facilities are available in the neighbourhood of the school, offering our students an enjoyable daily life. We offer an attractive social program as well as English classes outside the classroom thanks to our Realia summer course. We welcome junior groups from September to June and students from 16 years old all year round. Study English in London with the Nacel English School London! The school is approved by the British Council and is a member of English UK and UKCISA. The school is a Highly Trusted Tier 4 Sponsor. At Nacel English School, you can study General English Language Courses from elementary to advanced levels. We use the most up-to-date, relevant course-books, materials and resources for teaching; in conjunction with a comprehensive English Language and skills syllabus for each level. Our teachers aim to incorporate the latest, most effective English language teaching methods into their lessons; while maintaining our core approach of developing and integrating your pronunciation, vocabulary and grammar; as well as your listening, speaking, reading, and writing skills. We offer a range of Cambridge exam preparation courses for different levels of general, academic and business English. For General English, the most popular exams are; First, Advanced and Proficiency. For Academic English, the most popular exam is IELTS (International English Language Testing System.) For Business English, the most popular exams are the Business English Certificates (BEC). Our University Foundation Programme provides a comprehensive introduction to academic study in English; preparing you for every aspect of university life. The course includes academic English language tuition, IELTS exam preparation, and study skills development, ensuring the best possible start for entry to your degree course. Our English for Professionals Courses (ESP) are tailor-made for those requiring English Language development in their particular fields of work. You can choose from English for Medicine & Biology, Chemistry, Banking, Finance & Accounting, Oil & Gas, Engineering, Executive Management & Marketing, and Law. Our courses cover specialist areas of vocabulary and industry-specific language required to succeed in your chosen area of expertise. There may also be the opportunity on your ESP course to attend educational trips. Our One-to-One English course is tailor-made to your requirements; thus lessons are completely personalised. Classes can cover general, academic or business English, as well as English for Specific Purposes. Having your own personal tutor means the particular areas that you need to strengthen can be identified and developed at your optimal pace, with maximum immersion in the English language. Not only does one-to-one tuition result in greatly accelerated learning, but timetables are flexible and lessons can be arranged to fit around your commitments. You can book as many One-to-One English language lessons as you require, as frequently as you wish. One-to-One classes can be taken in conjunction with group lessons, allowing you to enjoy the atmosphere of a class, yet also work on specific personalised areas of your choice with your private tutor. Being a student at Nacel English School involves much more than just studying in the classroom. Our intensive and fun-packed Summer English Course in London gives you the opportunity to accelerate your English language development by combining the latest, most effective teaching methods outside, as well as inside, the classroom. This highly-interactive and intensive course is designed to maximise your English learning in a short space of time. You will benefit from an effective combination of inspiring classroom lessons linked to social and cultural activities that only London has to offer and get to know London’s famous attractions, its history and culture whilst enhancing your English language level. Our Teacher Training Refresher Course is designed for overseas teachers who want to study the latest methodology and techniques in English Language Teaching; and at the same time perfect their English language, and learn more about British culture. I chose this school because it had good reviews. It was a litlle bit far from home but it is very close to the tube, so it wasn't too much of a problem. Indeed the teachers are great. I must say I always felt supported and encouraged by the teachers. The school is nice, lots of nice social activities and I made many friends there. The administrative staff are very helpful too. I felt this was a really good experience and I would like to thank everybody there for my stay, it was a wonderful experience. Thanks again! I spent 2 weeks in London last spring, with Nacel, it was their own school. I had a really great time, felt really welcome there, as a person. 2 weeks were too short but I didn't have more time. maybe i will travel back and spend some more time there if I can. Teachers were so different, so friendly and always ready to help. the class was challenging for me and i felt I really improved. very good memories, especially as i also could visit London a little bit. I wish I could again! I took a four week class to prepare for the Cambridge Advanced Exam. The school is very flexible, as you can start on any monday. The teachers did a good job allowing every student to focus on the area they wanted to improve on the most. Social activities are offered on a weekly basis, and have a very friendly atmosphere, that allows you to freely chat with students and teachers. 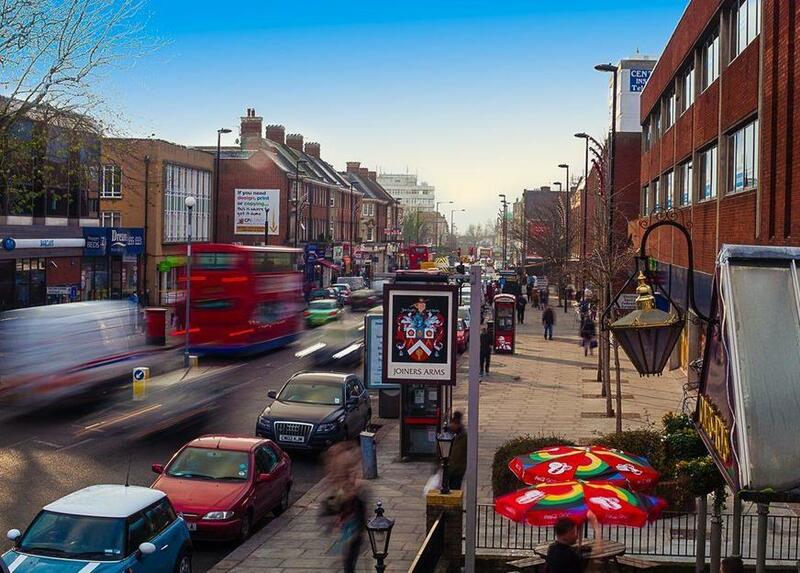 The school is located in finchley, but the tube is nearby and it's just a 20 minute ride to central london. This is the maximum you would pay. Schools offer discounts and promotions based on many factors.